Training for this week's European Cup in alpine skiing has got underway on a brand new slope in Sochi, which will be a centerpiece of the 2014 Winter Olympics in Russia. ­The slope is situated in Krasnaya Polyana village about 40 kilometers from the center of Sochi at Roza Khutor ski resort. The resort will be connected to the Olympic Village near the Black Sea coast by a highway and high speed railway. It is the first real field test of the sporting facility ahead of the 2014 Games. 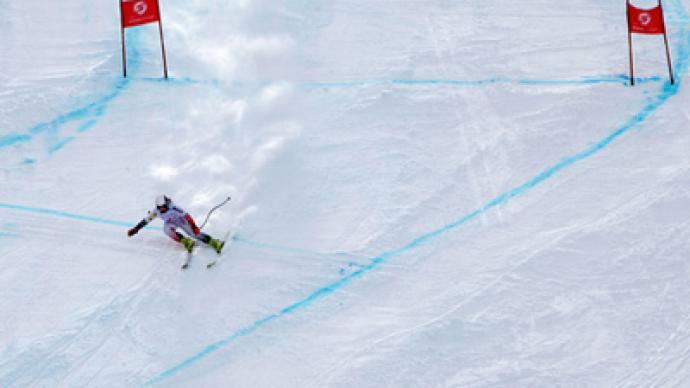 Although the Sochi Olympic Games are three years away, Russian and European athletes have a chance to test some of the pistes during the Alpine European Cup and also domestic competitions. The slopes are in perfect condition now and there is a lot of snow. However, if the weather fails to deliver enough snow for the Olympics, there is a plan B – recently installed snow machines are ready to ensure there are plenty for competition. 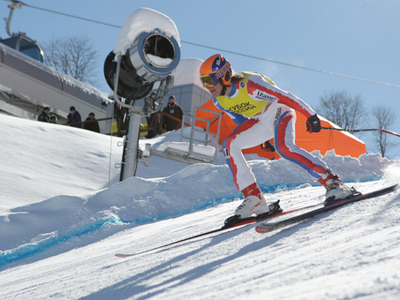 A total of 74 test events will be held in Sochi before the 2014 Winter Olympics – 29 of them are international competitions. All of them will be testing not only the sporting facilities but the whole infrastructure, such as roads, tunnels, bridges and power lines. The organizers say all the facilities are in their final stage of construction, with the most difficult initial stage now over.